Di is truly a believer in people first, technology second. You’ll see this from the first moment you meet her and it’s exactly why she’s the perfect leader for our incredible team of technicians. Also an owner of P1 Technology, she knows what it’s like to be “on the other side” of IT, so she’s in charge of making sure we live up to our People Driven mission. Di takes a very hands-on approach in keeping us on track, constantly improving our services and results and making sure our customers and team have everything they need to be the best they can be. 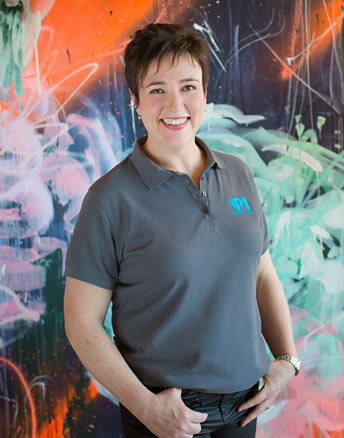 Never one to be caught standing still, Di has a long history of being active and once even owned a swim school and a personal training business! She also loves hanging out with her family, good food and wine, learning new things and meeting new people.